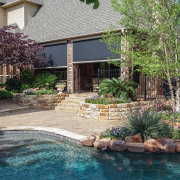 Retractable Screens Dallas TX at Tex-Sun Shade & Blind Co.
About Tex-Sun Shade & Blind Co.
Tex-Sun Shade & Blind Co. is a three-generation shade, blind, and screen company serving the North Texas area for 65+ years. In business since 1948, our goal is to provide the best screens, service, and prices for quality conscious customers. We have been accredited by the Better Business Bureau since 2005 and maintain a solid A+ rating. 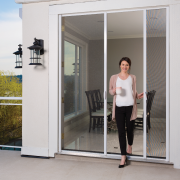 The Mirage Retractable Screen System works on virtually any style door, window, or large opening to help keep your Texas home ventilated in the Spring and Fall, plus on the cooler summer days so that you can give your Air Conditioning a break. 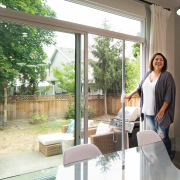 The unique retractable screen system tucks out of sight when not in use and comes in a wide range of colors. All components of the retractable screen are rigorously tested and engineered to last for years of reliable usage. 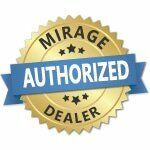 Regardless of location, our customers throughout the Greater Dallas area recognize the high quality of Mirage retractable screen systems that offers natural ventilation during the hot Texas summers. We think you’ll appreciate the savings in air conditioning costs too! 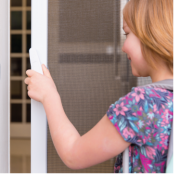 Call Mike, your local Mirage screen door dealer, at 972-279-0132 or Email for a free retractable screen estimate!